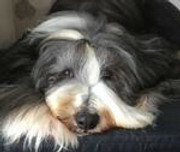 The UK Bearded Collie Website :: View topic - Happy birthday Judy G! Ooh Jude .... mines a big one er NO I meant drink. Thank you. Hope you have a splendiferous birthday my friend Judy, with much good food and wine and just a little sunshine! Will be raising a bottle to you later , the sacrifices I make for you eh. ? Much love from me and your dogson! HAPPY BIRTHDAY JUDY, HAVE A GREAT DAY! May the Beardie Bounce be with you always and may all your good dreams come true. ...she's a poet, but she dont know it! Belated Birthday wishes Judy, sounds like you had an enjoyable day. they put them on to remind us that they're there. All the pets we love who have past don’t ever forget us. They just put nightlights on to show us they care. OH NOOOO... Haven't come here for the last 2 or 3 days, and in the meantime, Judy managed to surreptitiously get a year older... Just to make feel ashamed, I'm sure! Welllll dear Judy, I've read in your post above that the actual day was a good one, with prosecco, good food and no doubt good company too. 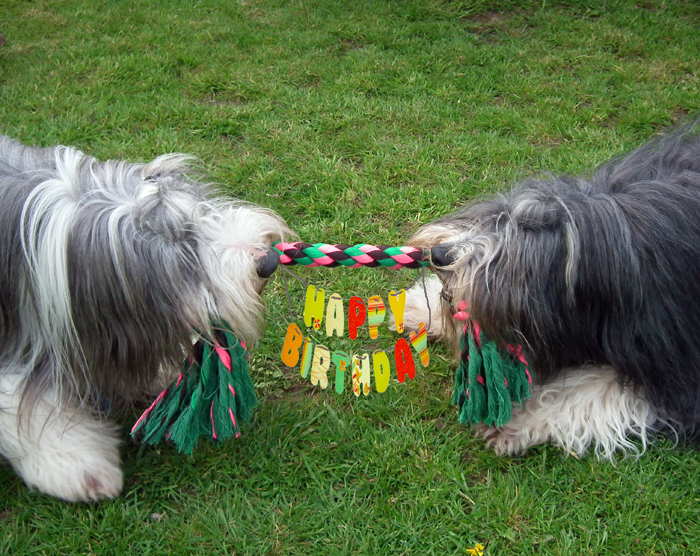 So.... belated joyeux anniversaire from me and the furry gang! Oh dear, now I am really failing the pace, all multi-tasking skills out of the window. Sorry this is late Judy. I know you had a great day, and we wish you many more.